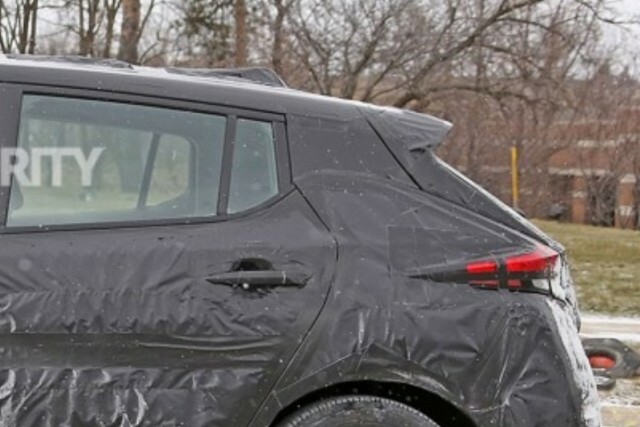 The more camouflaged spy shots that emerge of a car being tested on public roads, the closer it likely is to being introduced. After seven years of the first-generation Nissan Leaf electric car, a redesign is due—some might say overdue. 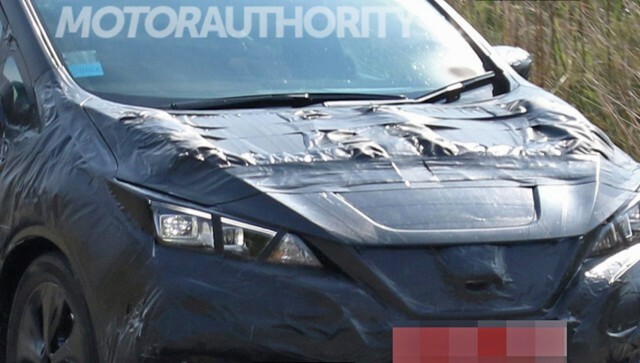 Now we have a second set of spy shots of the 2018 Leaf being tested, indicating a likely unveiling this fall. Once again the photos come courtesy of German spy-photo house SB Medien. You can view all of them at the link above. These more detailed photos of the 2018 Nissan Leaf confirm the idea we had previously that the next generation may use elements of the existing car. Specifically, those rear-door openings look a lot like the ones on the current Leaf, first introduced in 2011. But clearly the bulk of the car is new, even if some or all of the underpinnings may have been carried over. We won't know about that until the car is released and we can talk to Nissan engineers about the development process. The new Leaf seems to show design influence from both the Nissan IDS Concept shown at the 2015 Tokyo auto show and the Nissan Sway concept. Those include the corporate "V-motion" grille and angular headlights (replacing the current model's polarizing "bugeye" lights) on the sharply raked nose to the thin horizontal wraparound taillights. Nissan executives said three years ago that the new Leaf would have "less EVness" and look more like a conventional car—or at least more like other Nissan models, with which it would share design language. As for battery range, reports suggest the 2018 Leaf will offer two battery options, both using lithium-ion cells with higher energy density. Eighteen months ago, Nissan showed a Leaf "Advanced R&D Vehicle"—with a 60-kwh battery giving a range of 400 km (250 miles) on the Japanese test cycle—at its annual meeting. So the two battery capacities offered in the 2018 Leaf are thought to be around 40 kwh and 60 kwh, which might provide EPA-rated ranges around 140 and 220 miles respectively. 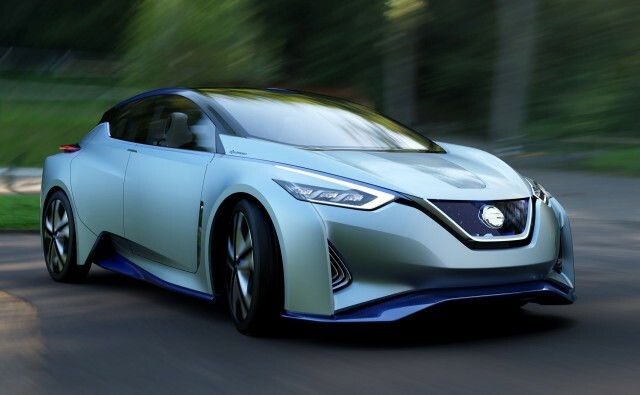 We also know the next Leaf will be offered with Nissan's ProPilot technology, permitting the car to drive itself on highways under a certain limited set of circumstances. If the 2018 Nissan Leaf isn't unveiled at next month's New York auto show (and we've not seen any indications it will be), then it's likely to be shown sometime next fall. We suspect it'll go into at least pilot production at Nissan's plant in Smyrna, Tennessee, around the same time. First models will likely be delivered to U.S. buyers either very late this year or early in 2018.